The web is scattered with tips on how to make a memorable entrance at a party or event. “It certainly helps if you can make the right impression from the moment you walk in,” says The Individual. Reader’s Digest reveals that it only takes four minutes for most people to make a lasting impression, and your entrance could make up a large segment of this time. Many sources suggest that you should smile upon entering a venue, as well as keep your shoulders back and your head held high. Some even go so far as to give their readers door-opening tips (you should do this with a brisk, swift motion, according to eHow). If making an entrance is important for an individual, you can bet your bottom dollar that it’s important for an event, too. Many people spend so much time worrying about what the inside of their venue will look like that they forget to pay attention to the outside. 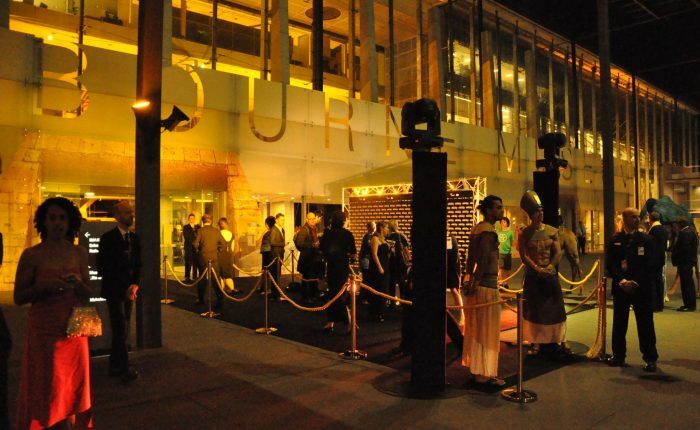 First impressions count, and if your guests are greeted by a beautifully designed and carefully constructed VIP entrance when they arrive at your venue, they will be putty in your hands before they even enter the building. As well as being purveyors of audio visual equipment rental, Pro Light & Sound can set you up with an entrance your party or gala attendees will never forget. If you want your guests to feel like Hollywood A-Listers, we can provide you with a red carpet and a trussed media wall for them to take photographs in front of. You can also pick a black or custom carpet if you’re going for a look that’s a little less ostentatious. Pro Light & Sound also offers poles and ropes that will give your entrance an elite vibe and keep the plebeians out. Of course, no entrance would be complete (or memorable) without gorgeous event lighting. Choose moving or search lights to make the walk up to your venue reminiscent of a film premiere, or opt for LED outdoor uplights to add a splash of colour and a real sense of occasion to your entrance. If you create a memorable entrance for your guests with Pro Light & Sound, they’ll have much less to worry about when making their own! Get in touch now to see how we can help you create make a memorable entrance!